St. John’s Community Garden is a gift from our congregation to our community and a place where we can meet our neighbors. 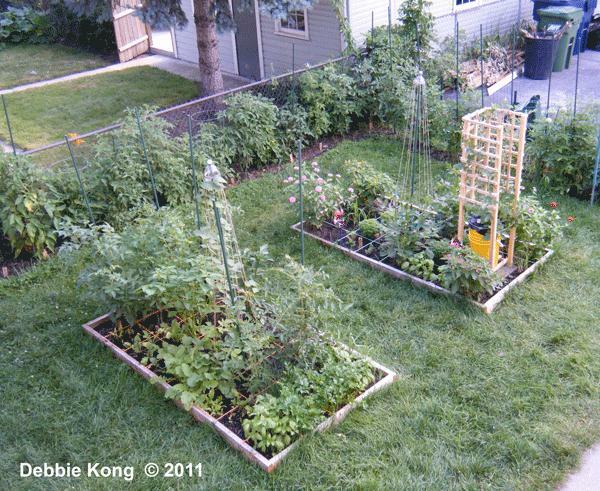 Growing your own food can save significant money and, at the same time, be an inexpensive and healthy form of exercise and entertainment. Whether you are a novice or an expert, you are welcome to apply for a plot. You do not need to be a member of St. John. Our garden is located at 7422 Washington in Forest Park, just west of our school. The garden consists of 4 x 8 foot raised bed plots that will be tended by people like you who enjoy gardening to grow food and flowers for themselves, their families, and neighbors. Lucy Osterlund is our Lead Garden Coordinator. We also have a number of experienced gardeners in our congregation that will be glad to answer questions or offer friendly advice. Members of the Forest Park Community Garden are also assisting us with their experience and expertise. In addition to our garden space, we are coordinating with other surrounding community gardens to provide several educational lectures and community-centered events throughout the year. If you are interested in gardening with us, please see the Gardener Agreement on this page. A small refundable security deposit is requested to help insure that the limited number of plots will be put to good use. Welcome to St. John’s Community Garden, and happy gardening! We are especially thankful to our friends Gina, Debbie, and Jessica at the Forest Park Community Garden (FPCG) for their advice and help they've given us in starting up the St. John's Community Garden. We look forward to working with FPCG and other local gardens to share expertise and educational events. 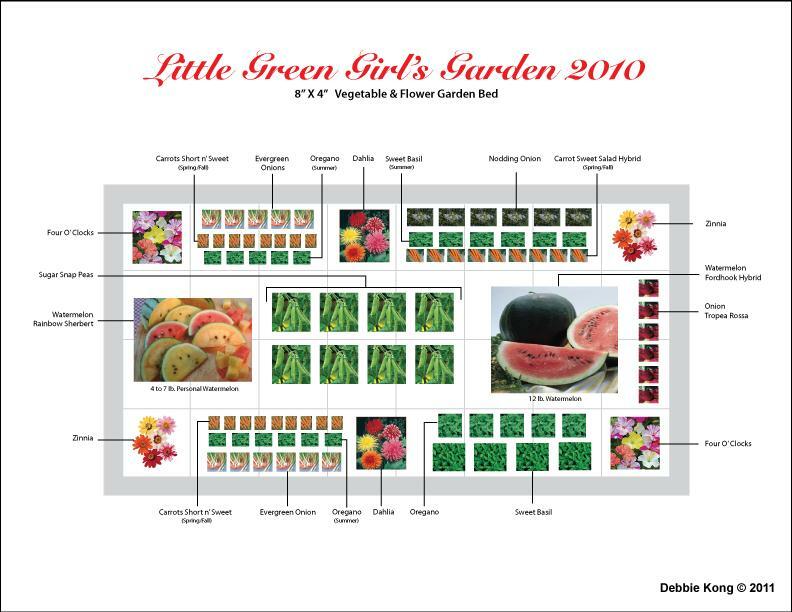 Thank you to Debbie Kong for allowing us to use photos of her daughter's garden and layout. You can find it at libraries, bookstores, and online. Gardener’s assigned plots are expected to help prepare the garden by turning the dirt, removing residual weeds, adding organic fertilizer, etc. Others, including those on the waiting list are also welcome. You may begin to use your assigned plot after this date. May 10 - Final Day for turning in agreement and $20 Deposit. Applications received by this date will be assigned plots based on availability. If applications exceed available plots, a drawing will be held to determine the order of assignment and others will be placed on the waiting list. After this date, applications will be added to the waiting list based on the date the application and deposit are received. All plots must be cleaned, prepared, and at least half planted. Unused plots will be forfeited and assigned to those on the waiting list. All plots must be cleaned by this date. St. John Lutheran Church is excited about a wonderful program to help our environment. We have a bright yellow and green Paper Retriever bin in our back alley by the dumpster. This recycling system seems to be a hit! Several times a day congregation members and our neighbors have been spotted filling our recycling bin! It’s simple and free! Acceptable materials are: newspapers, magazines, catalogs, mail, shredded paper (can be in a plastic bag), paperback books, hardcover books (with covers removed). No cardboard, construction paper, or sticky notes.